Customers called DBS looking to replace windows for their home to have better ventilation. Have you been feeling the cold lately? Check out this article from the Duluth News Tribune! 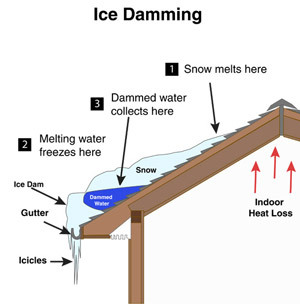 This is great information on winterizing your home. Live in Duluth, MN and have HIGH energy bills? A cold spell has hit the Duluth and Superior areas, causing higher energy bills. Co Workers that Fix Uncomfortable Homes together...Fish Together! New Hires Join the Team at DBS! As announced in the Duluth News Tribune Biz Buzz for July 11 we have three new hires who joined the team last week. On wet days, our crawl spaces are wet. On warm days, our crawl spaces are warm. On cold days our crawl spaces are cold. This is an issue! Do you have an older home with high energy bills? Why should you get a Blower Door test? Save money by getting your home insulated! Whether you decide to get this project done or not (Insulating your home to your comfort) you will spend the money! Why you should encapsulate your DIRT CRAWLSPACE! Is your crawl space causing problems? You may not realize the effect a crawl space has on your home. Why you should care about your crawlspace? Most homeowners know there crawlspaces are bad, so they just avoid going in there. They think they wont be effected by it if they don't go in it. The truth is, they are. We all got together for a Christmas dinner at Famous Dave's. It was a very enjoyable evening with great food. Thank you everyone for the great year! We can work all throughout the winter! Feeling cold drafts from your windows? or just cant seem to keep warm inside your house? Call us today to set up a free written estimate for an energy audit.